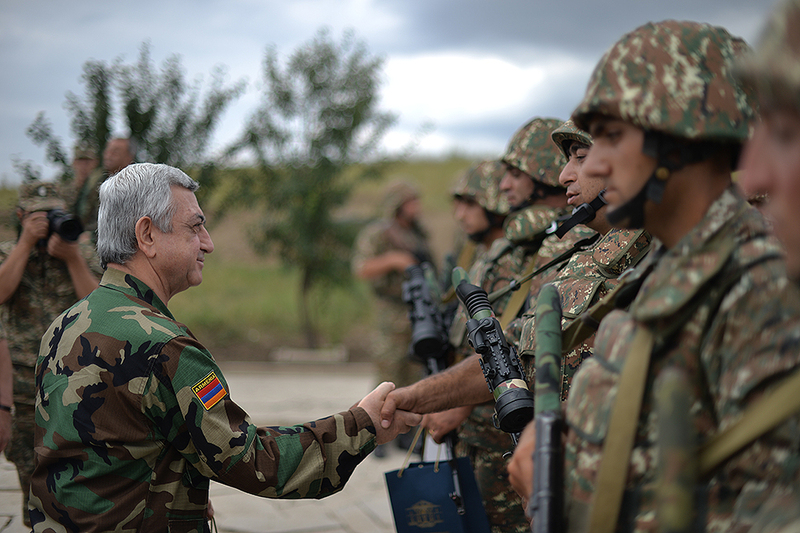 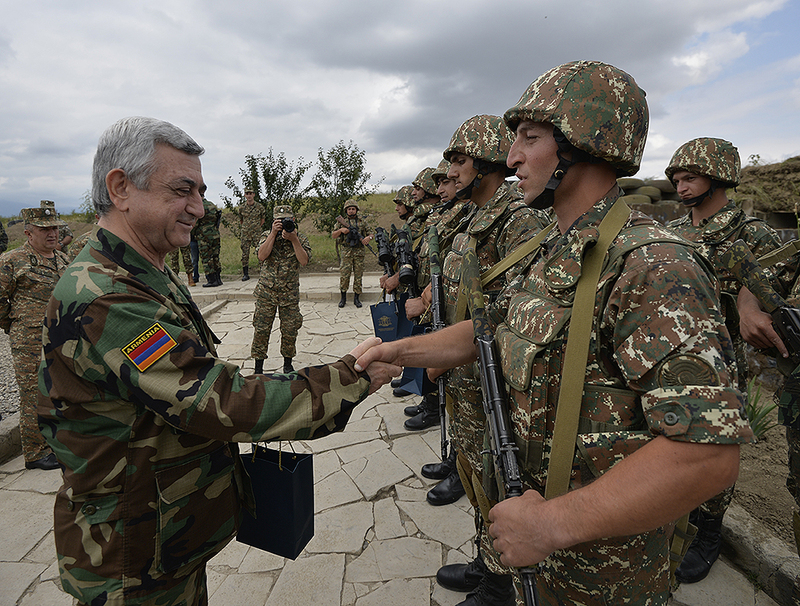 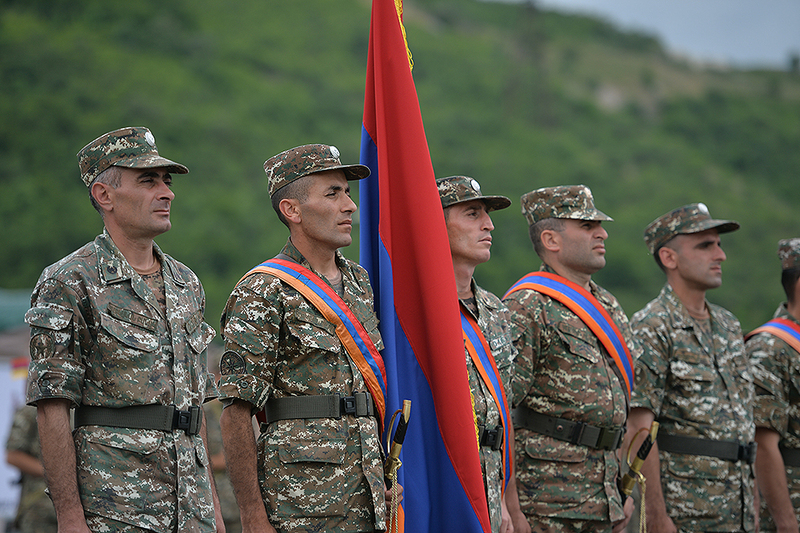 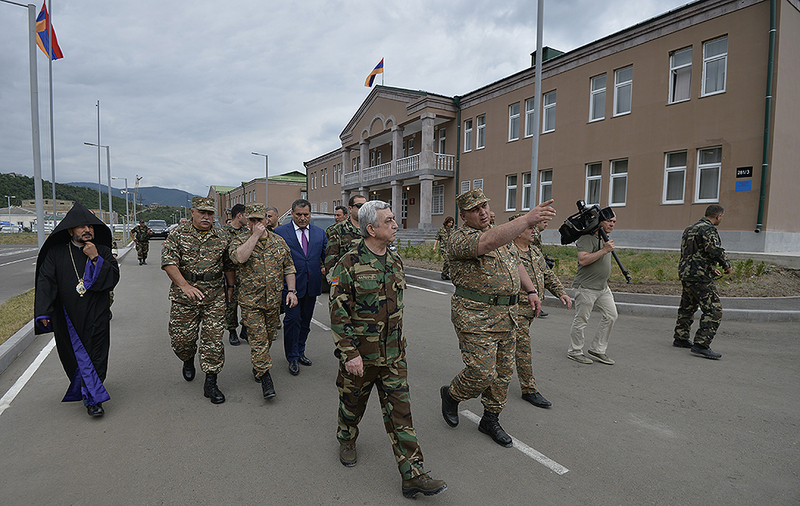 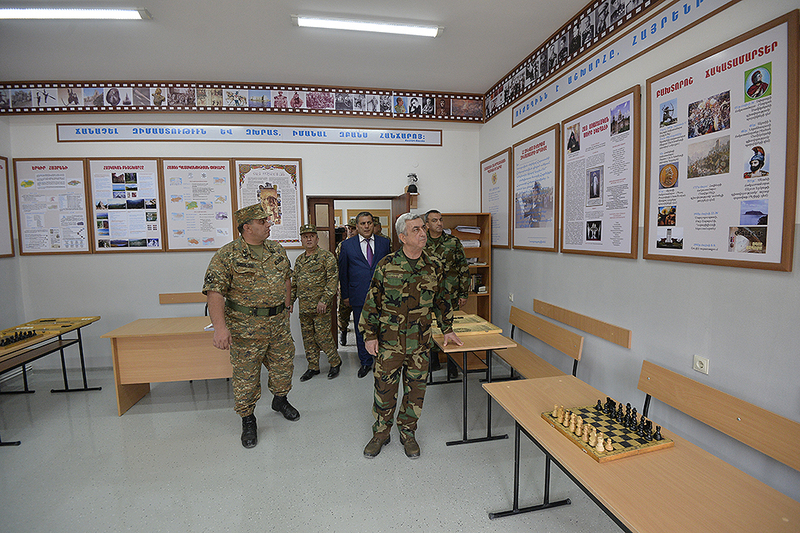 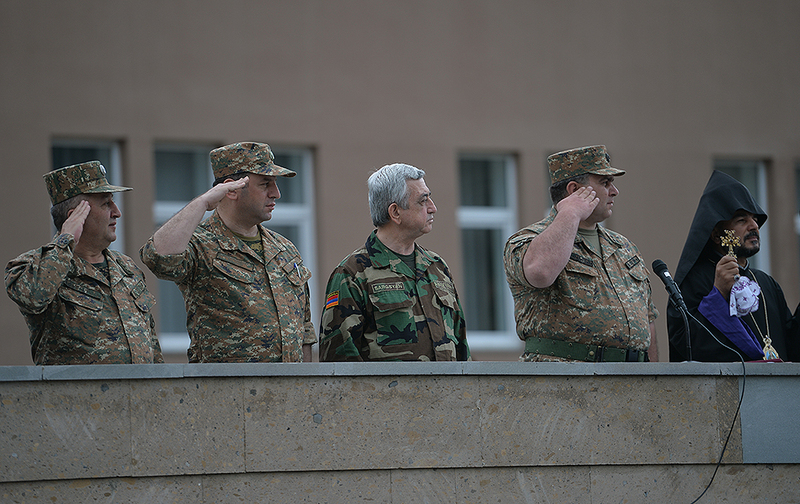 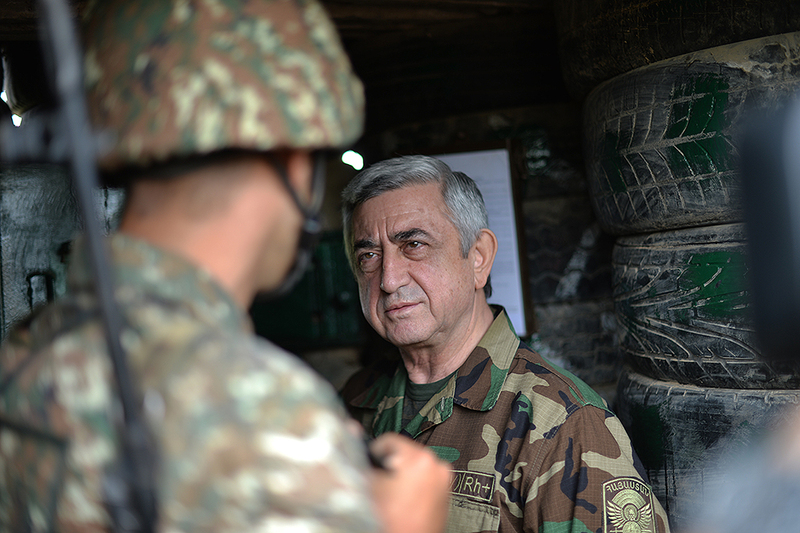 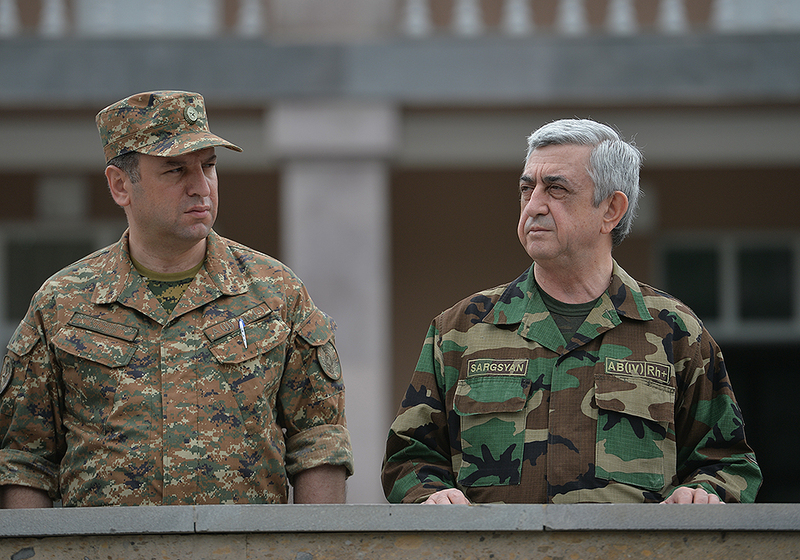 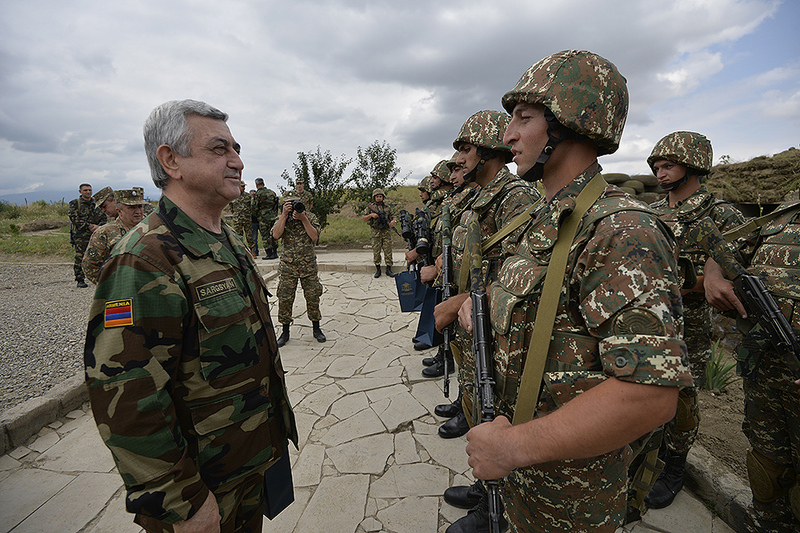 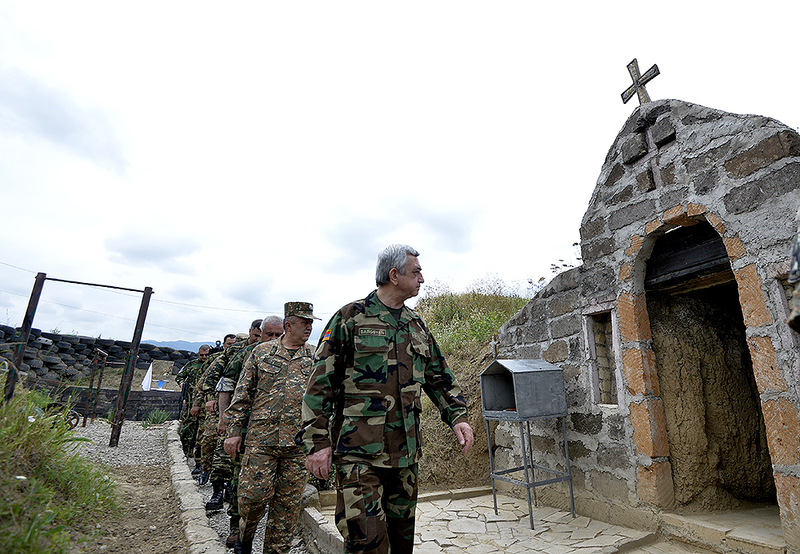 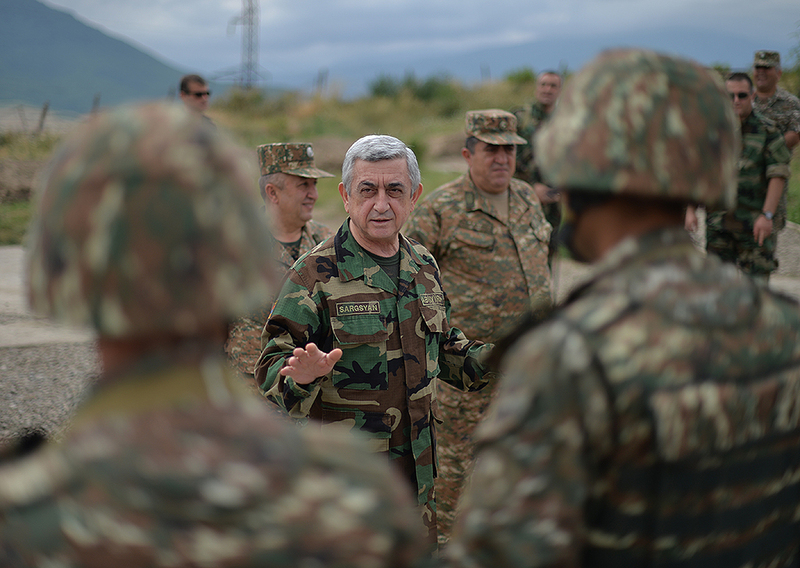 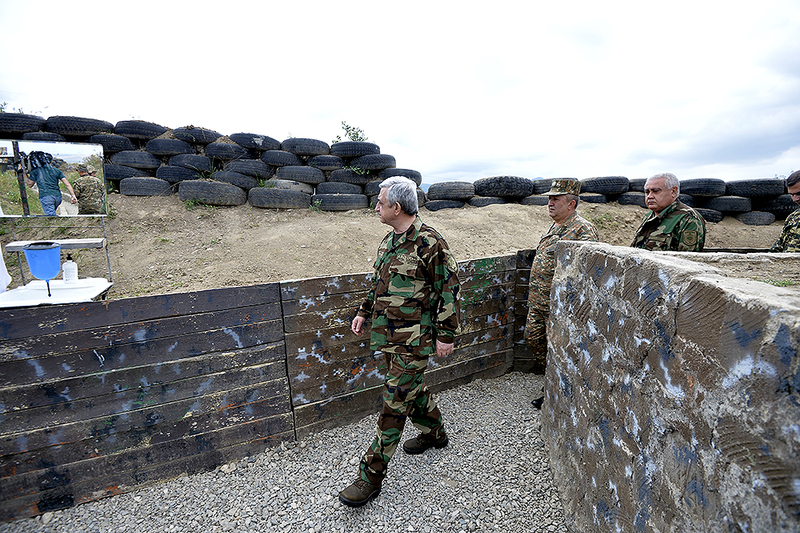 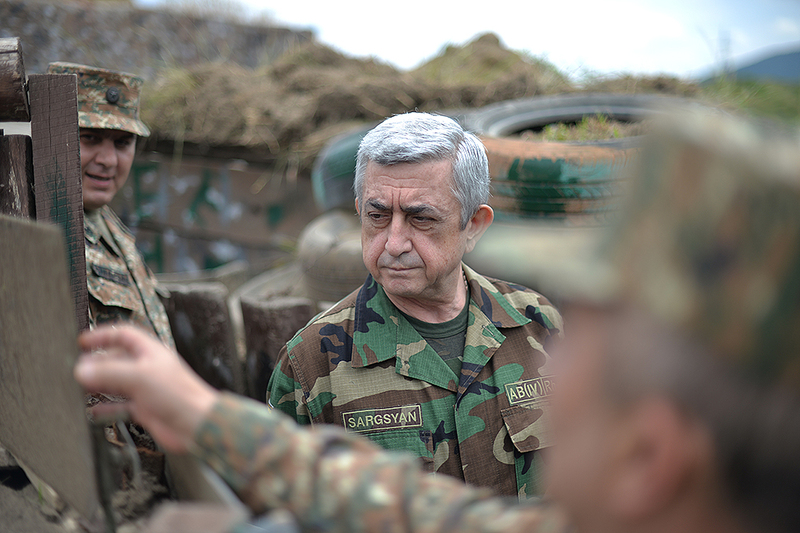 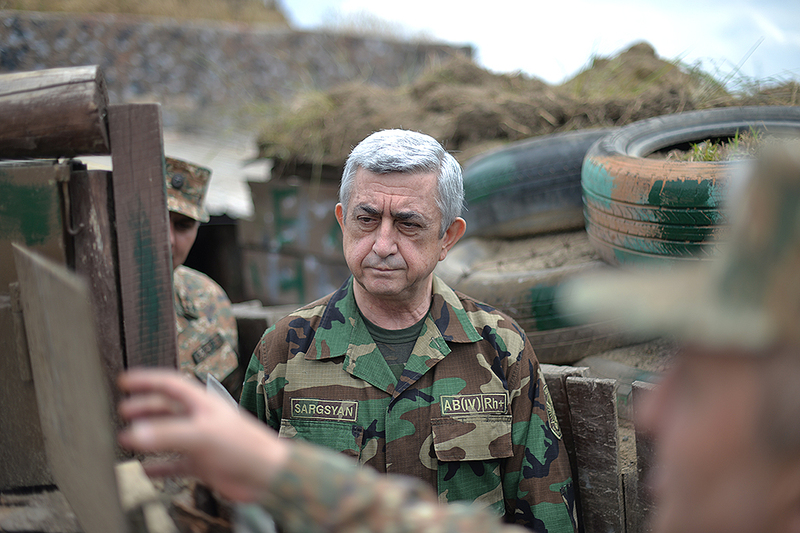 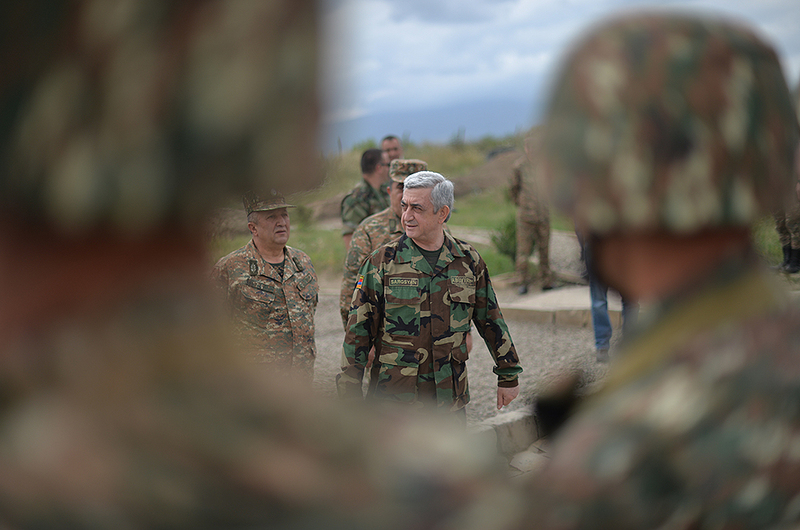 President of the Republic of Armenia, Supreme Commander-in-Chief of RA Armed Forces Serzh Sargsyan traveled to Tavush Marz on a working visit this morning. 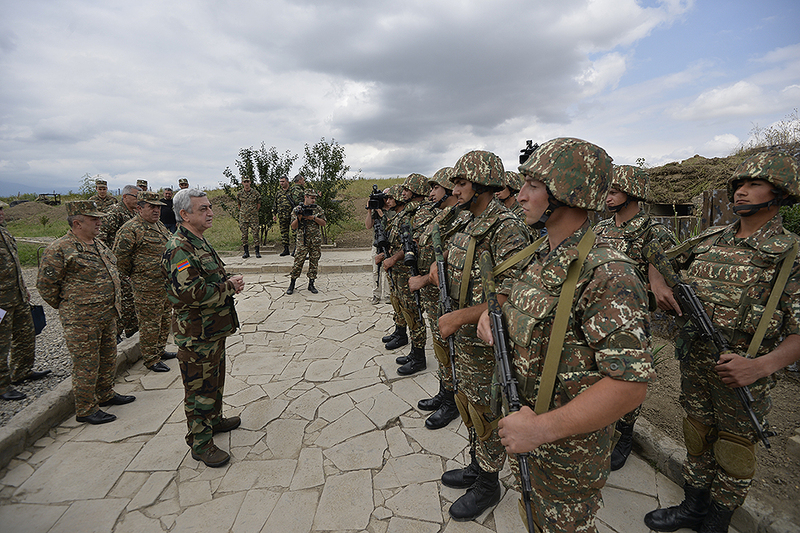 The President called at one of the combat positions in the north-eastern frontline zone, toured the military stronghold inspecting servicemen’s living conditions and combat training status, as well as the engineering and defensive facilities in place. 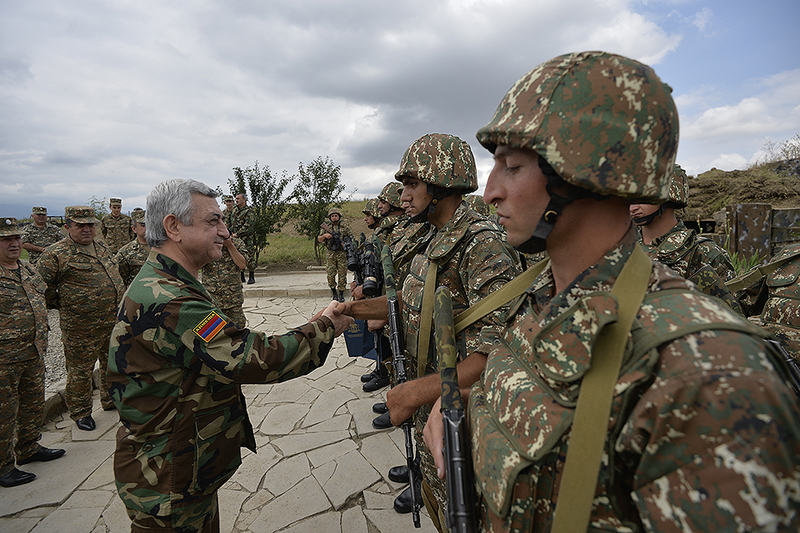 The Head of State handed gifts to a group of officers and soldiers who had excelled in service with outstanding dedication and courage. 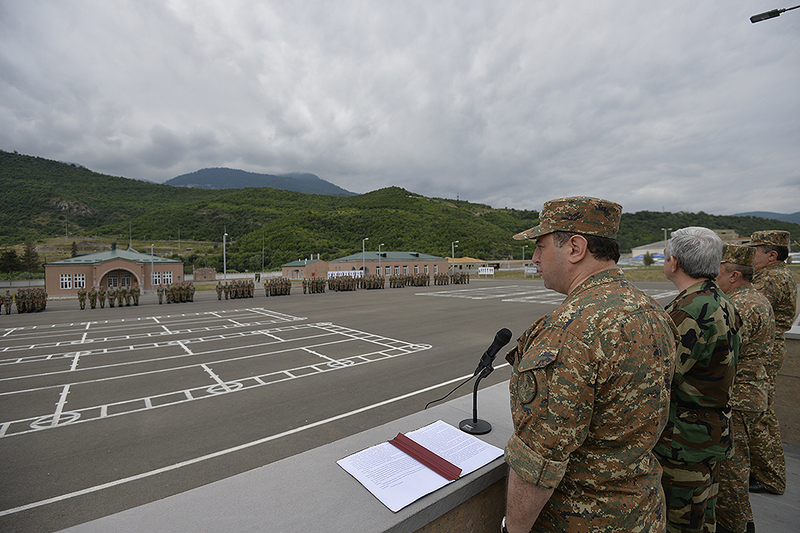 Offering his vote of thanks to the defenders of the Motherland, the President wished them every success and good service, stressing that their conscientious service was highly appreciated, since thanks to them, our people could live, work and develop our Motherland peacefully. 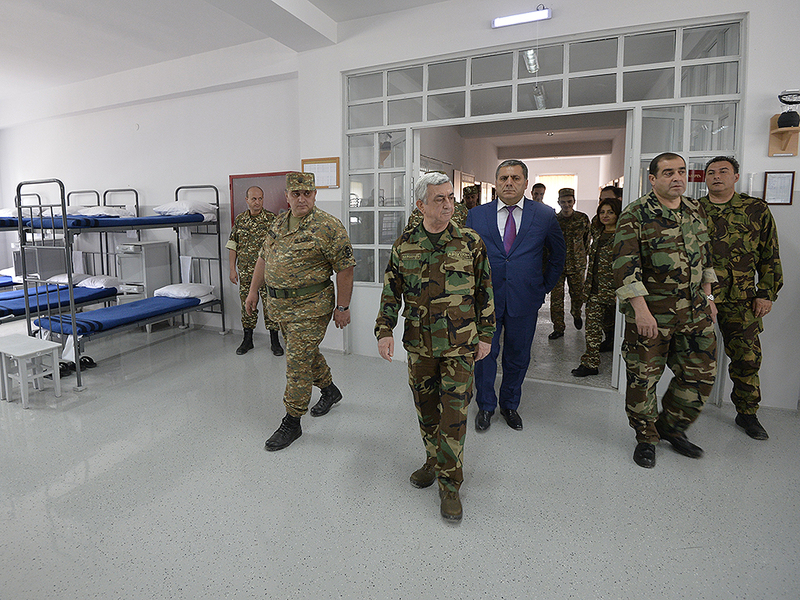 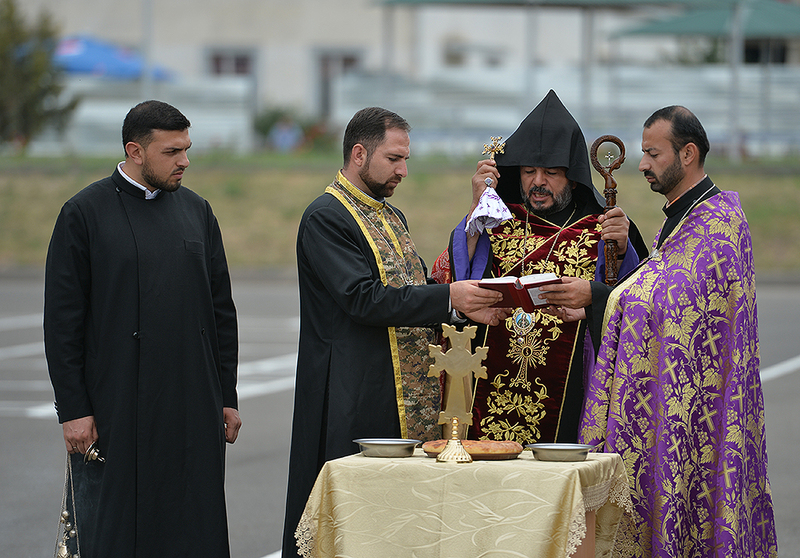 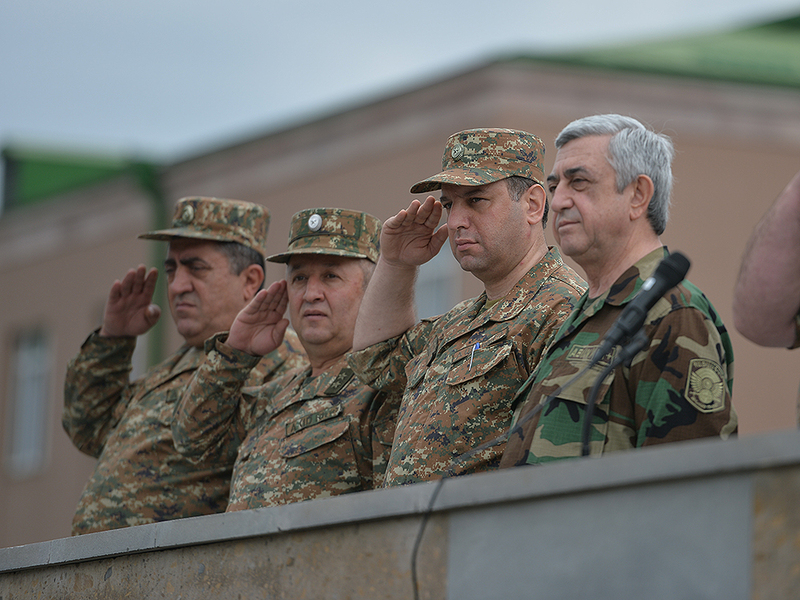 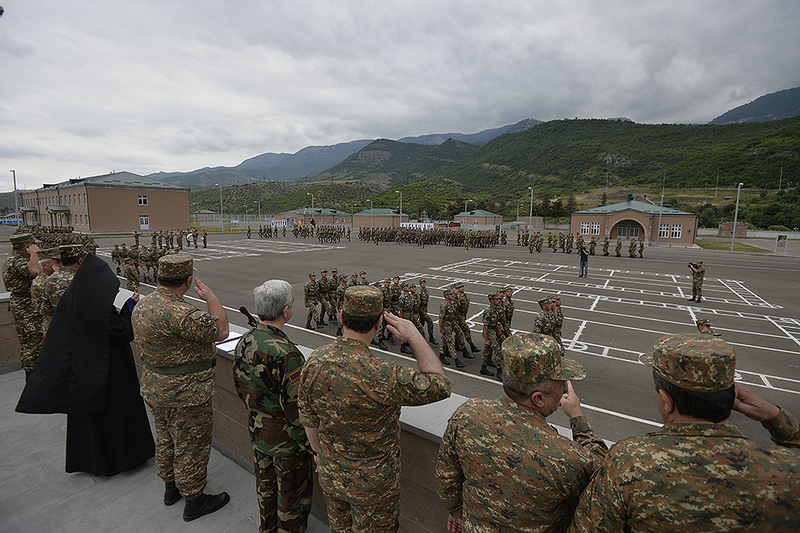 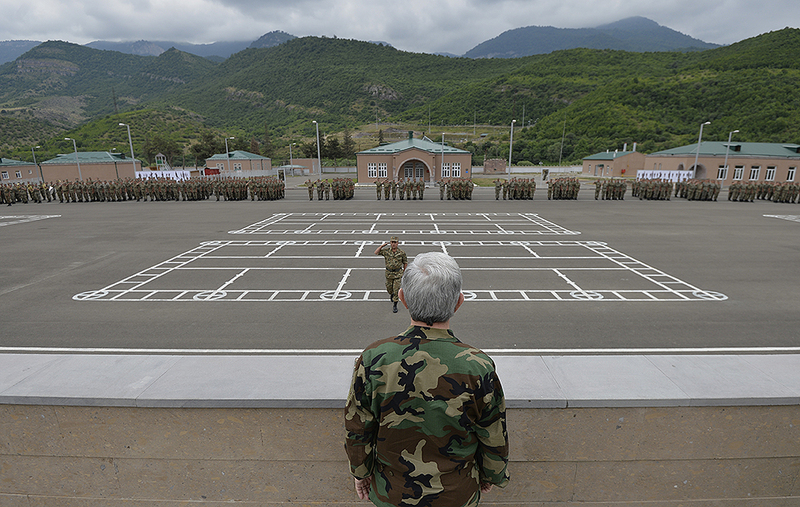 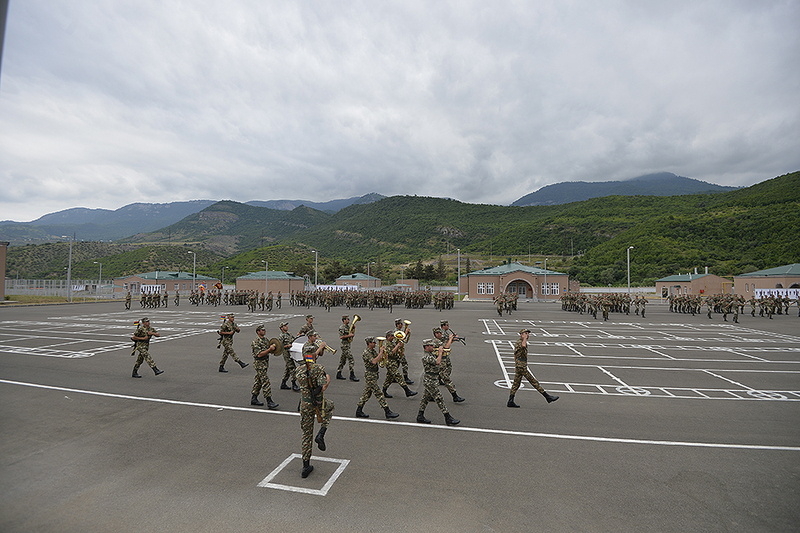 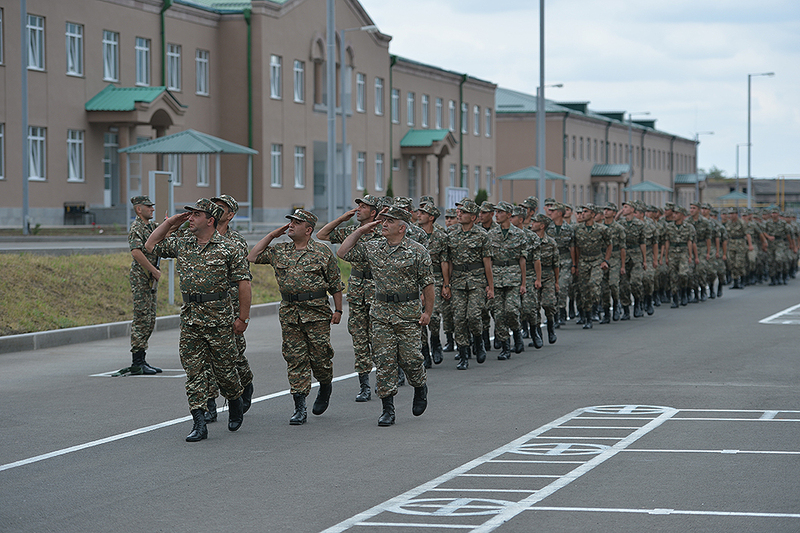 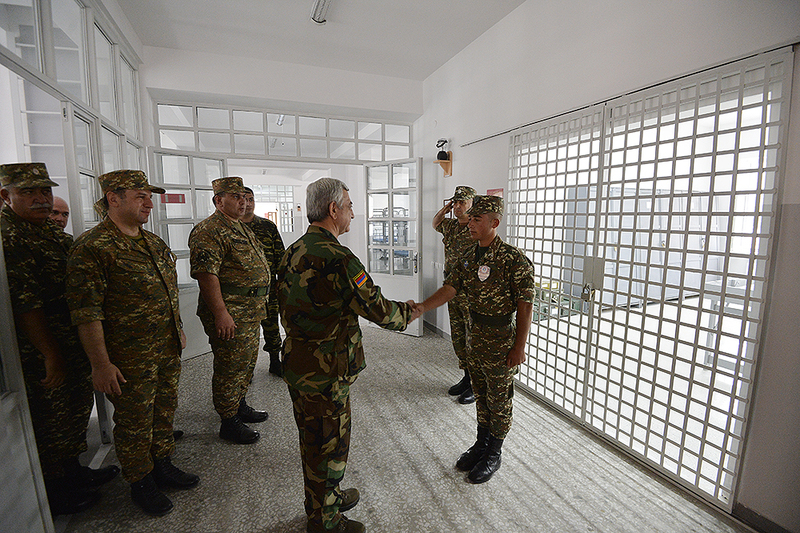 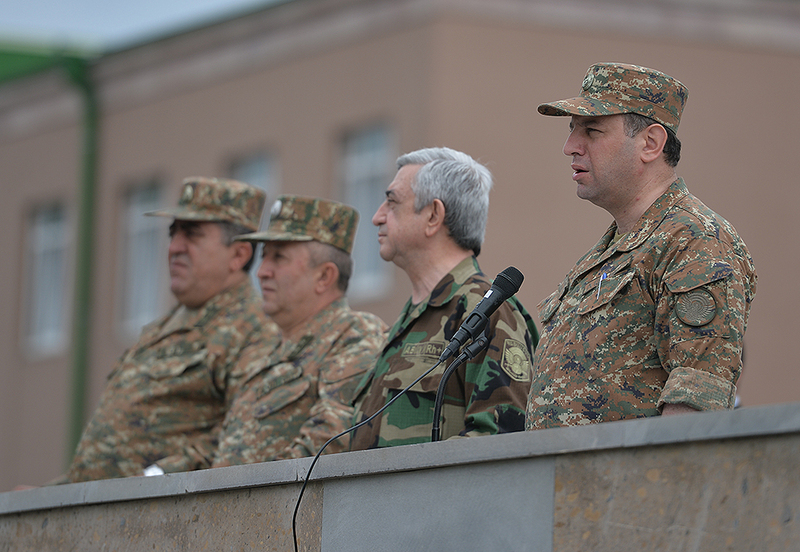 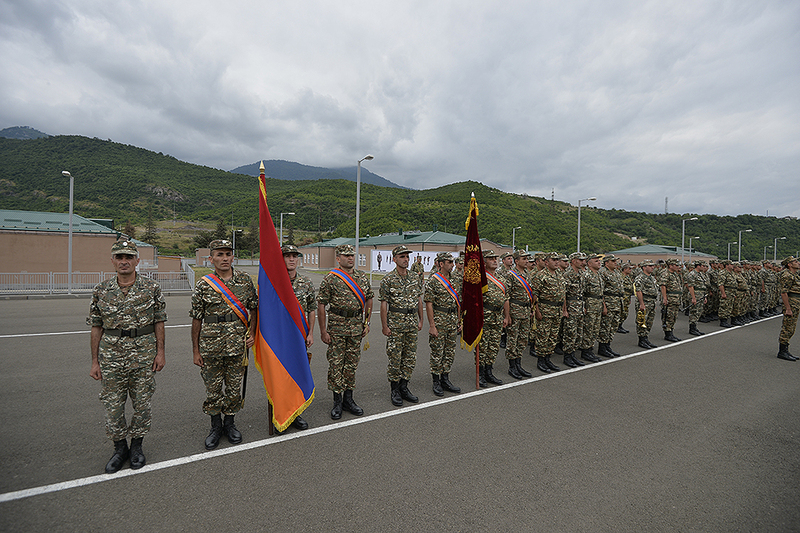 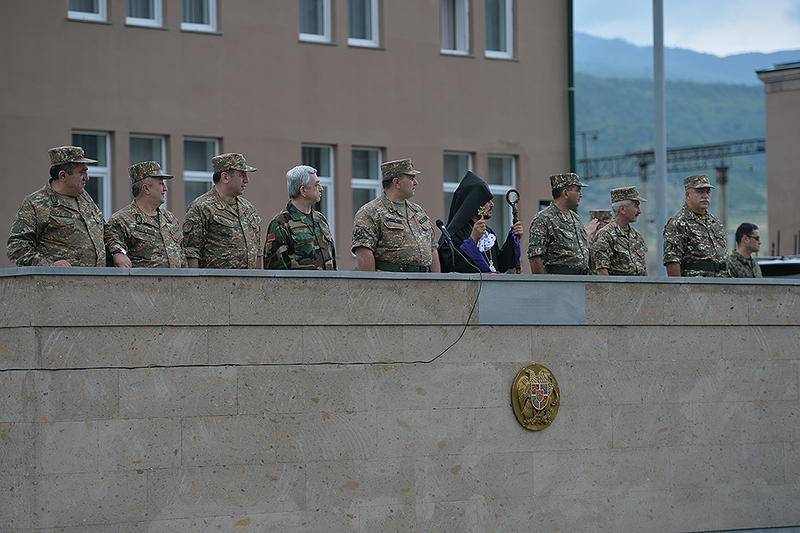 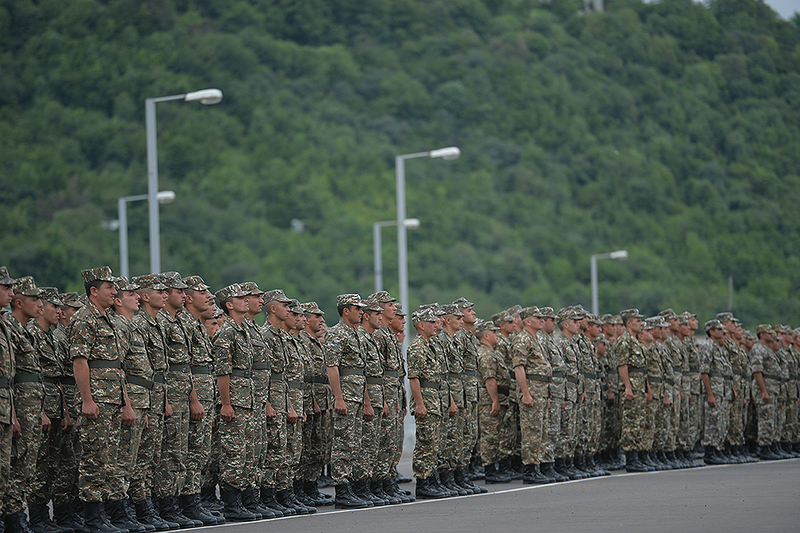 President Sargsyan next attended the ceremonious opening of a new complex of permanent deployment of the military unit in Idjevan. 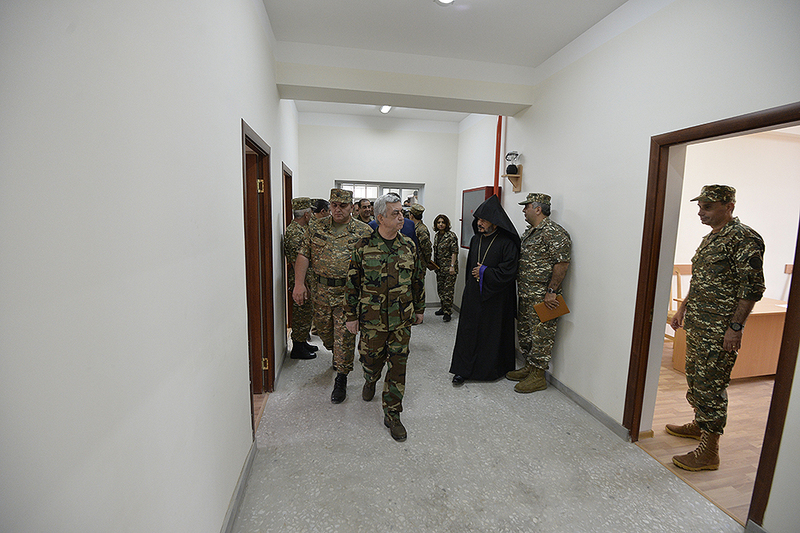 The event was addressed by the Minister of Defense, the commander of the military unit, the spiritual leader of the Armed Forces and one of the soldiers. 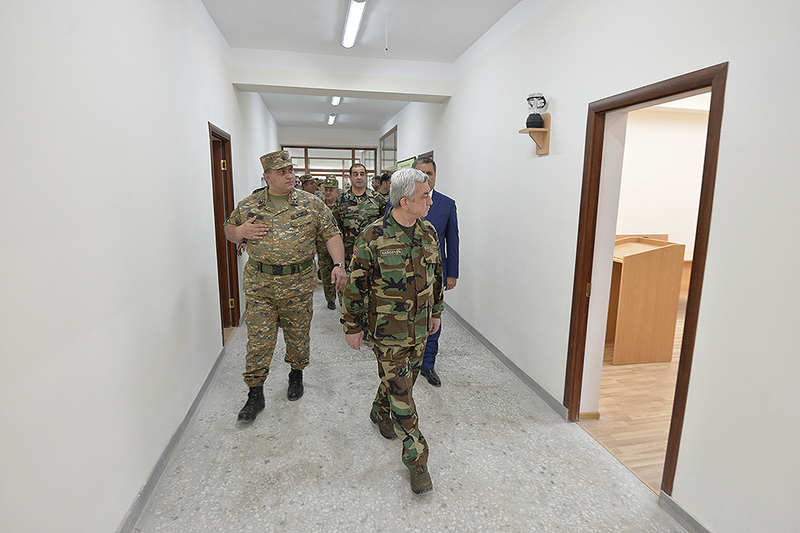 After a solemn march dedicated to the opening of the newly built military town, the President of the Republic toured the barracks with a view to getting acquainted with the amenities. 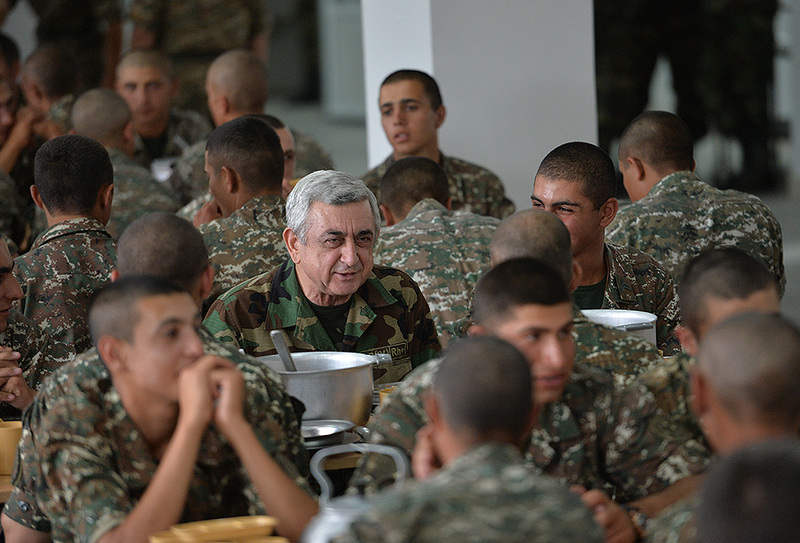 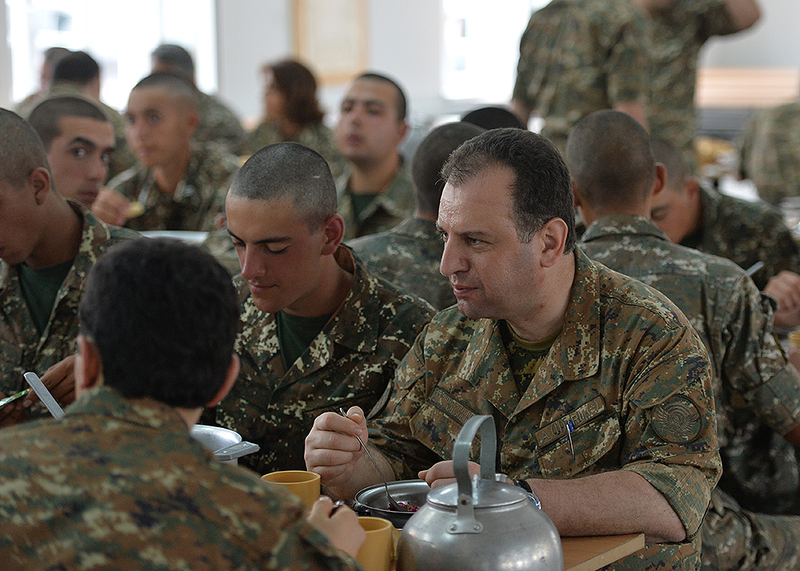 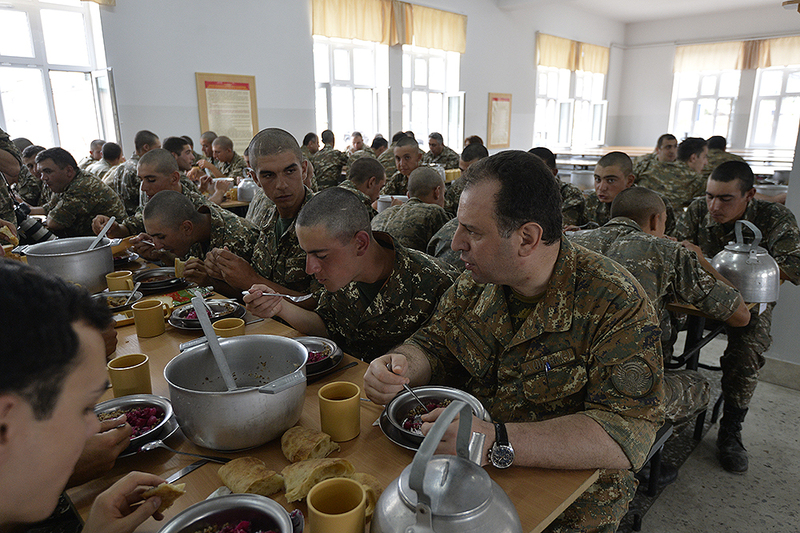 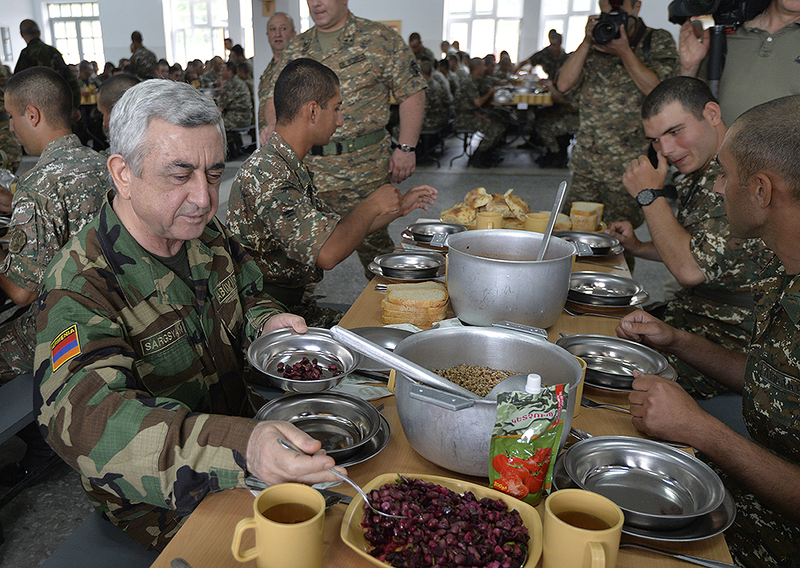 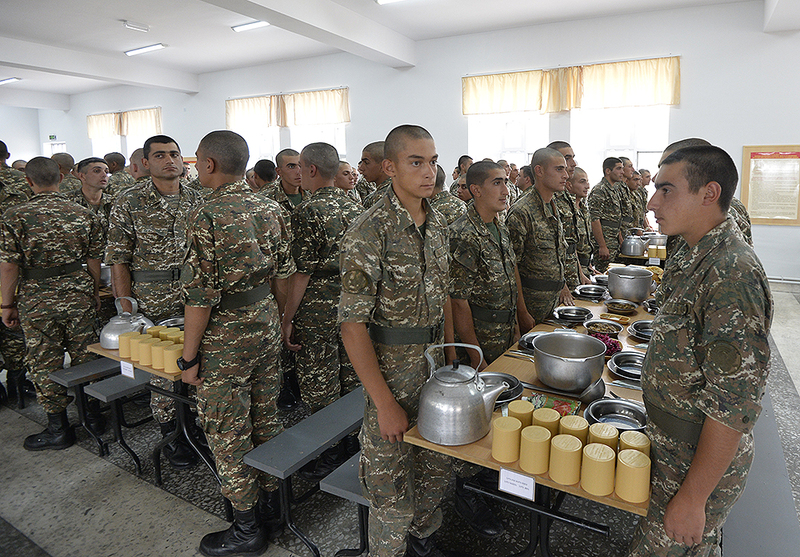 Serzh Sargsyan talked to the staff and joined the soldiers and officers for a dinner held in the soldiers’ canteen. 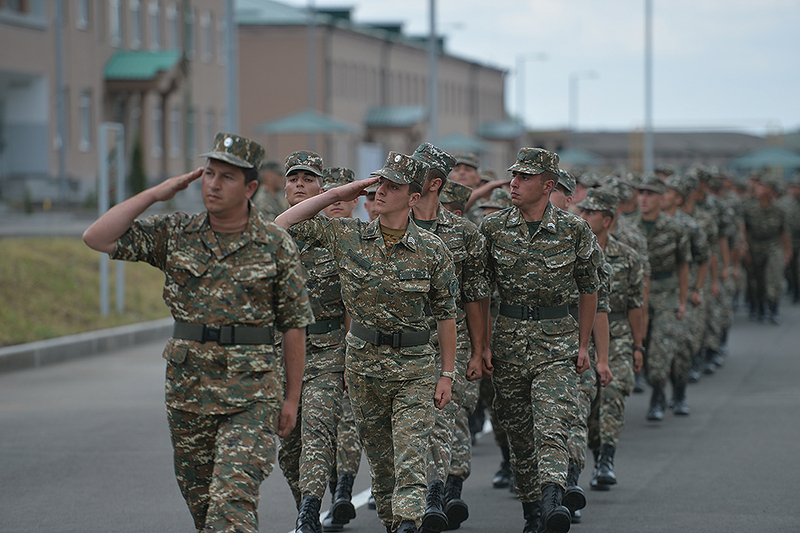 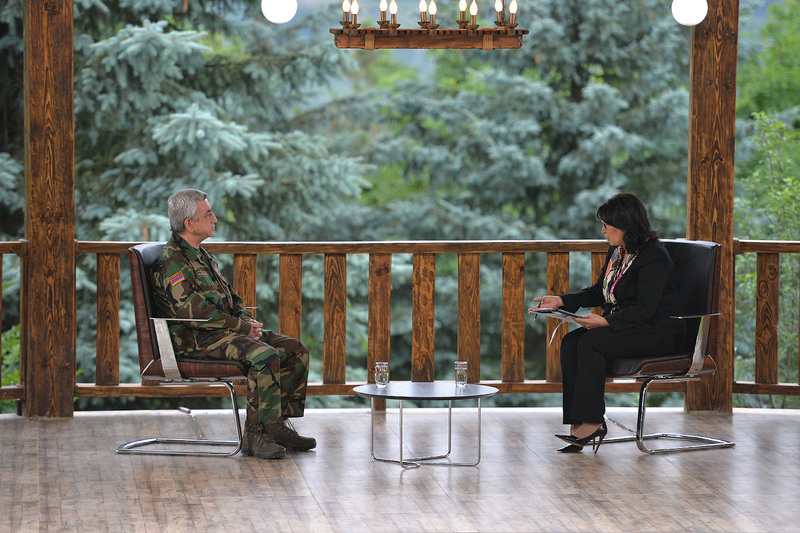 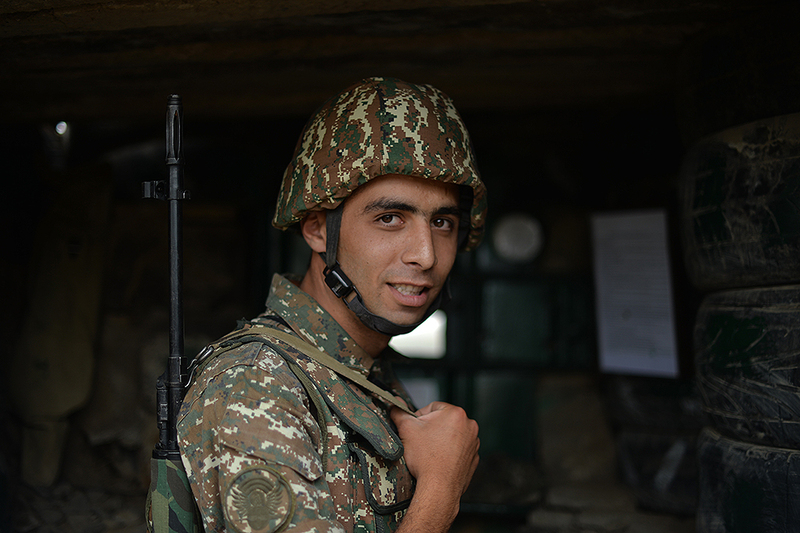 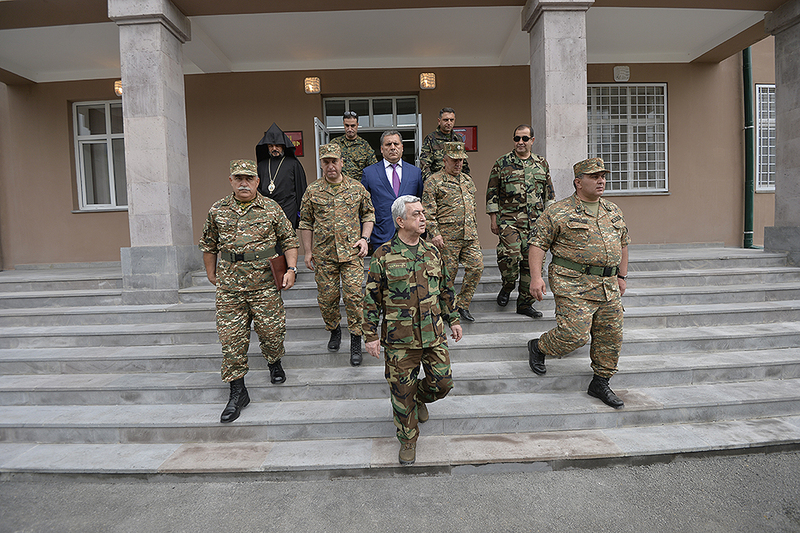 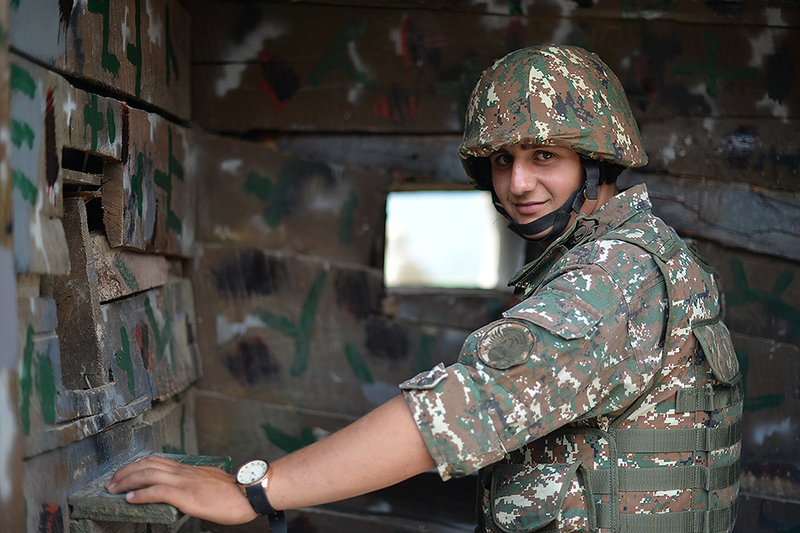 On the same day, the President gave an interview for Armenia TV Company’s R-Evolution program in the “Mountainous Armenia” health resort of the Ministry of Defense in Dilijan.